A quick Smoothie that is great for everyone who wants to Detox after the Christmas Days or if you are just looking to eat more healthy. 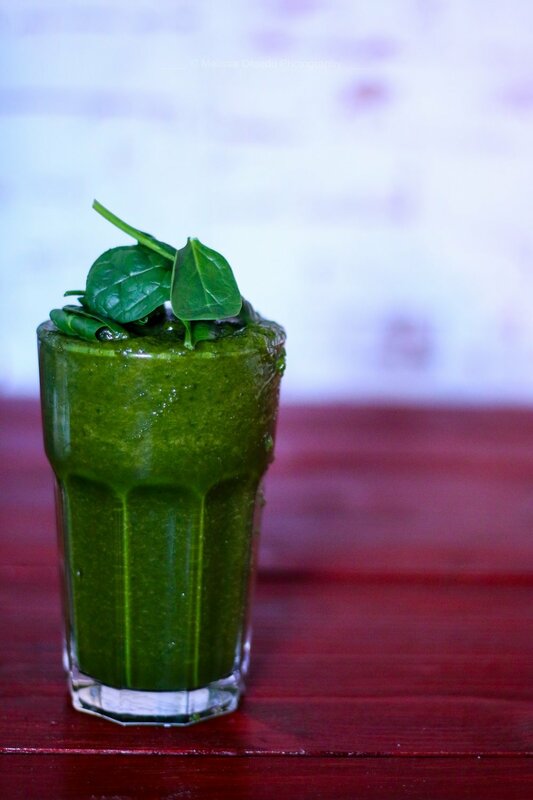 The Green Smoothie is also great for a fast breakfast and I assure you that you will be completly satisfied and full after drinking this Smoothie. The great thing about Smoothies is that you drink your daily serving of veggies and fruits at once. Packed full with vitamins and healthy this Smoothie is going to start you of on the right Detox track. After succesfully eating my way through my entire Christmas backeries I thought it might be a good idea to start a detox or at least eat healthier. I did eat a lot more Christmas Cookies than I posted on this Blog. To start of my super healthy journey I thought id start with the holy Grail of Smoothies: the Green Smoothie. Its probably packed full with every Vitamin you can think of. I used about 400 g of Carots, which I added to the Spinach and Kale. 400 g of Carots yields about 300 ml of Carot Juice. I always add the liquids in the mixer first, that way mixing all the Ingredients goes a lot faster. I used 70 g Spinach but it is really up to you how much you want to use. The recipe is really just a guidline and you can adapt it any way you want. 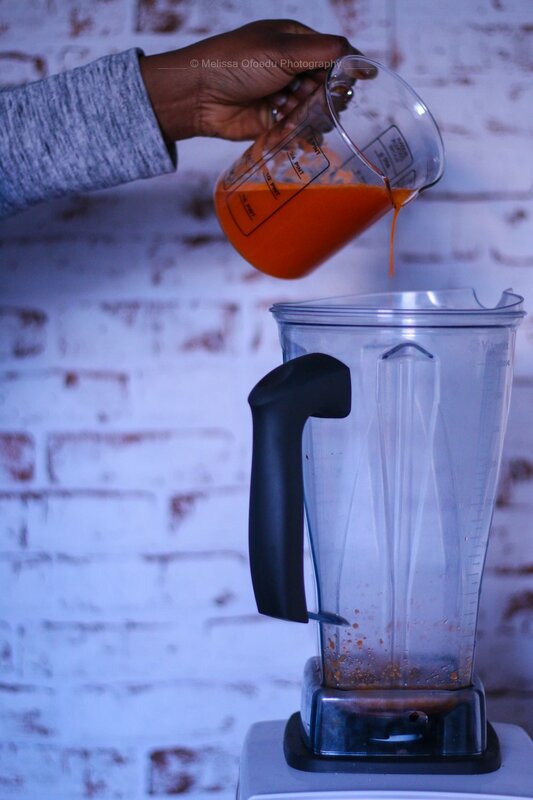 I always add a lot of freshly juiced apple and carot juice because these are my favorite veggies. If you are more of a Spinach person you can add as much as you want.